Welcome to Serenity, welcome to Southridge Commons. We invite you to escape the bustle of your busy everyday like to simply enjoy the quiet serenity that welcomes you home. Southridge Commons is conveniently located just minutes from Purdue University, downtown Lafayette, and Lafayette's Southside. Located on the outskirts of town, Southridge is just around the corner from all of your shopping, dining, and entertainment desires. Our peaceful community offers spacious and thoughtfully designed studios, 1, 2, and 3 bedroom apartment homes with exceptional service, and a welcoming staff. 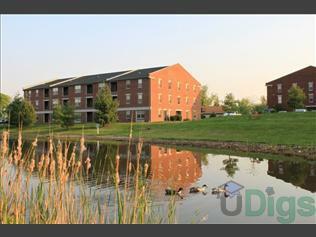 This page contains information about Southridge Commons and it's rental listings. All details have been provided by Southridge Commons.